One of the biggest question marks surrounding the fate of the planet’s coastlines is dangling from its underbelly. The melting of the Antarctic ice sheet has long been a relatively minor factor in the steady ascent of high-water marks, responsible for about an eighth of the 3 millimeters of annual sea-level rise. But when it comes to climate change, Antarctica is the elephantine ice sculpture in the boiler room. The ice sheet is so massive that its decline is, according to the recent Intergovernmental Panel on Climate Change assessment, “the largest potential source” of future sea level rise. Accurately forecasting how much of it will be unleashed as seawater, and when that will happen, could help coastal communities plan for surging flood risks. A study published Aug. 14 in Earth System Dynamics — one that took more than 2 years and 50,000 computer simulations to complete, combining information from 26 atmospheric, oceanic, and ice sheet models from four polar regions — has helped scientists hone their forecasts for this century’s Antarctic thaw. And the results of the global research effort were more sobering than the findings of most of the more limited studies that came before it. The world’s seas could rise anywhere from less than half an inch up to more than a foot by the end of this century solely because of the effects of balmier waters fanning Antarctica’s underside, causing ice to melt, icebergs to calve, and ice and snowpack to slough into the sea, the scientists calculated. The upper limit of that projection is more than double earlier estimates, with scientists attributing the change to advances in models. “The largest uncertainty that we have with regards to Antarctica is, how much of the warming reaches the continent through the ocean, and how much melting does it cause?” said Potsdam Institute for Climate Impact Research’s Anders Levermann, who led the study. Levermann was also a lead author of the sea level rise chapter in the most recent IPCC assessment. Those figures do not include additional sea level rise caused by melting glaciers, by the melting of the Greenland ice sheet, by the expansion of warming water, or from the effects of groundwater pumping, which shifts water from aquifers to the seas. If the most recent IPCC projections for those sources of rising seas were combined with the new Antarctic figures, the U.N. group’s upper limit for overall sea level rise by century’s end would increase to 119 cm, or nearly 4 feet. That’s up by more than a fifth compared with the figure included in last year’s assessment. That’s a lot of water. For comparison, seas have risen about 8 inches since the turn of the 20th Century, as temperatures have risen by 1.5°F, due primarily to the burning of fossil fuels. That has increased rates of flooding across coastal U.S. and driven some Pacific Islanders to seek asylum in foreign lands. The hastening pace of sea level rise threatens to reshape the lives of more than a billion coastal dwellers and imperils potentially tens of trillions of dollars worth of infrastructure. Of course, upper limits are just that — they represent the highest levels of sea-level rise for which science currently says coastal planning departments should brace. “It’s this upper limit that’s important for coastal planners,” said Levermann. But rising upper limits come with rising median projections, which, by definition, have a 50 percent likelihood of being surpassed. Median projections produced through the new study suggest a rise of several inches is likely due to Antarctic melt alone. The vast range of lower and upper limits for sea level rise caused by Antarctic ice-sheet melting that were included in the new paper — more than a foot — were partly the result of uncertainty over how much greenhouse gas pollution the world will churn out during the coming decades. The upper limit assumes that annual greenhouse gas emissions continue to increase. But it also reflects the vast uncertainty in ice sheet and other models that were combined to simulate Antarctic melting. The melting of the other great ice sheet, which blankets Greenland, is driven largely by rising air temperatures. Those processes can be difficult to understand. 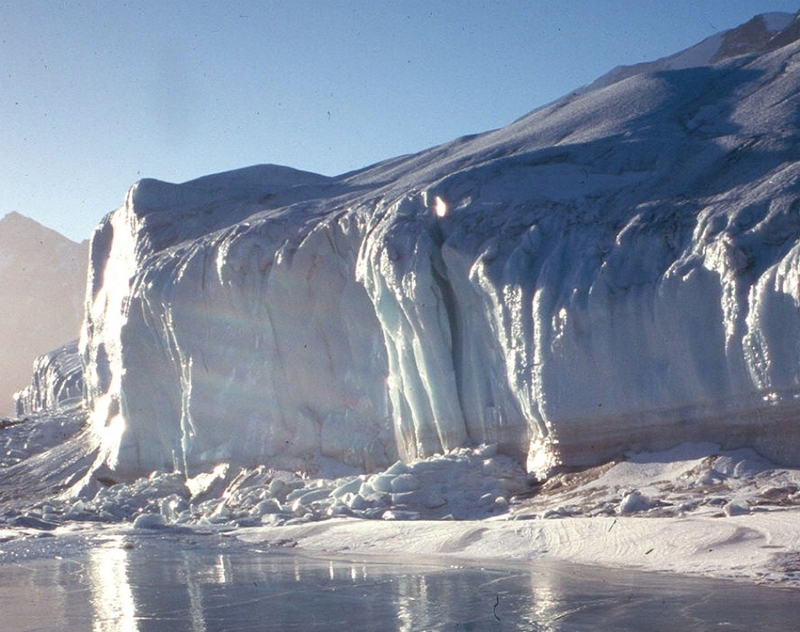 But the processes that melt the Antarctic ice sheet are even more convoluted. Antarctica is further from the equator than is Greenland, which keeps the air frigid even in summer, shielding most surface ice from melting. Unlike in Greenland, much of the Antarctic ice sheet is submerged below sea level, causing it to melt from beneath and crumple into the sea as oceans absorb heat that’s accumulating the atmosphere. Antarctica’s ice sheet is more than a mile deep on average, holding enough water to raise sea levels 200 feet should it all melt. That means the southern ice sheet has more potential to flood the world than does its boreal counterpart — although the Antarctic melt is taking longer to kick into gear. 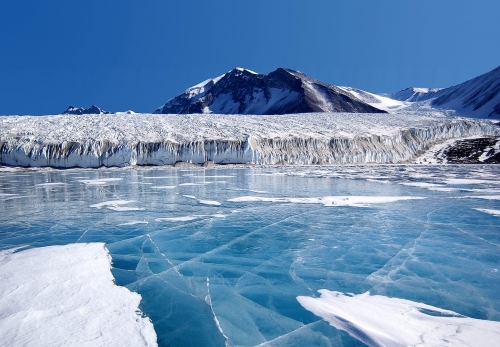 The melting of the two ice sheets was responsible for a third of sea level rise from 2002 to 2011, according to numbers in the recent IPCC report. The Antarctic ice-sheet melt caused about 40 percent of that; Greenland’s ice-sheet caused 60 percent. The melting of the ice sheets are playing growing roles in coastal floods. It seems that the more we learn about the forces that cause ice sheets to melt, the more vulnerable we realize they are to wither. The IPCC cited “improved modeling” when it raised its forecasts for sea level rise in its recent report, compared with the projections it published in 2007. Natalya Gomez, a post-doctoral fellow at the Courant Institute of Mathematical Science at New York University who researches ice sheet and sea level interactions, says the numbers published in the new paper are “not the final answer.” Gomez says they will continue to be refined in the coming years as ice-sheet models and other models continue to improve. She warns that the sea level rise projections could increase even further as models evolve. The beauty of the new work, says Gomez, who was not involved in the research, lies in the fact that the scientists behind it have developed a tool that will propel a nascent and challenging field. “What they’re assessing — the range of possible responses of the Antarctic ice sheet to future warming — is really challenging,” Gomez said.